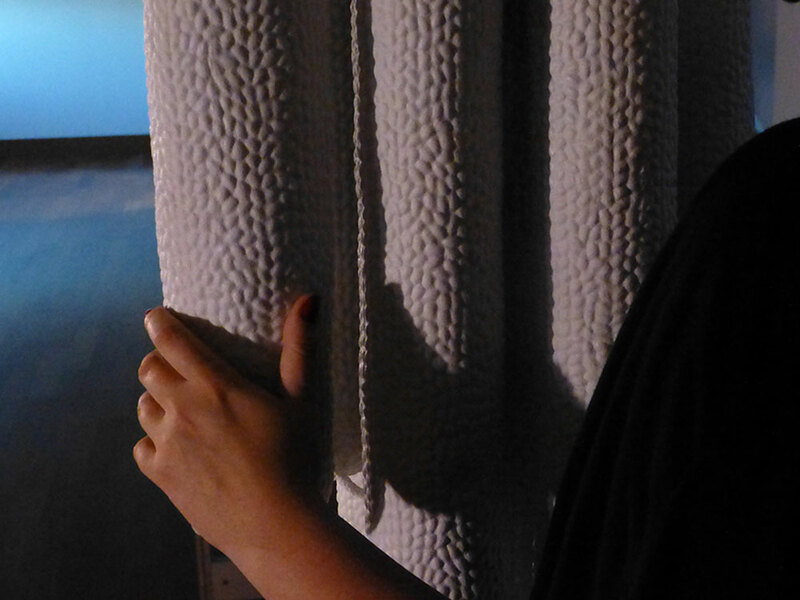 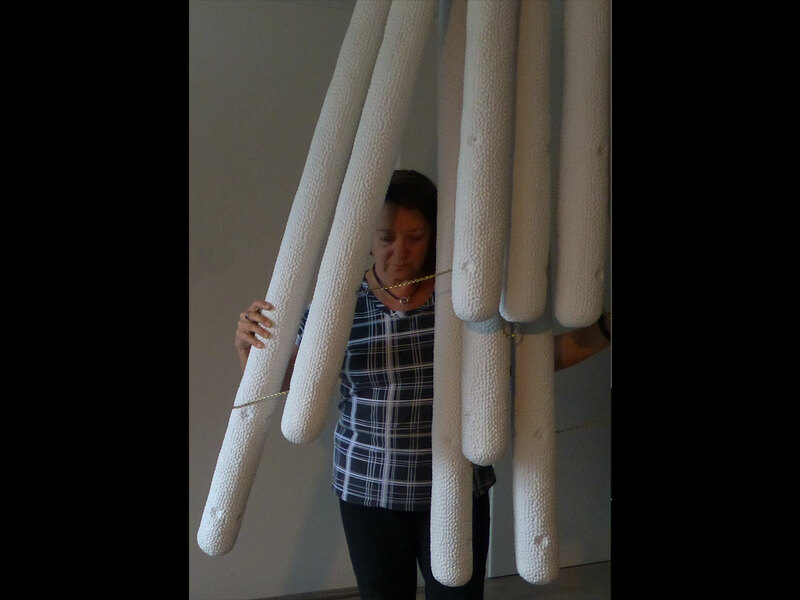 In AURALROOTS, artist Jill Scott, combines inspiration from tactile and aural sensory perception. 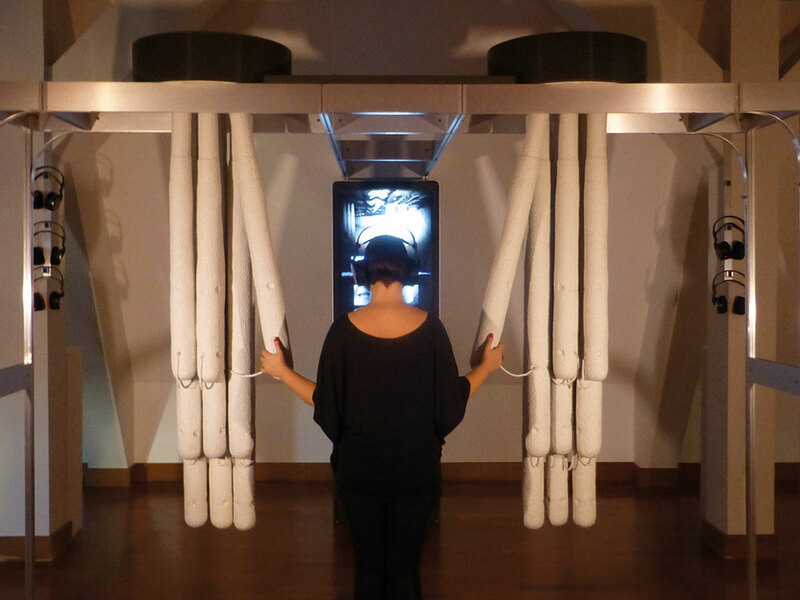 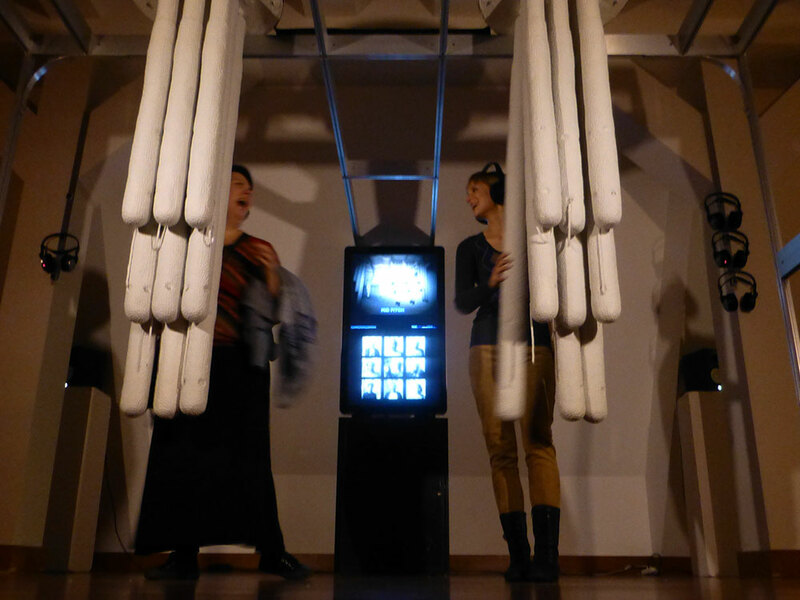 It consists of two hanging interactive sculptures, based on the functions and forms of the stereocilia, tiny hairs on the auditory cells of the inner ear in the cochlea. 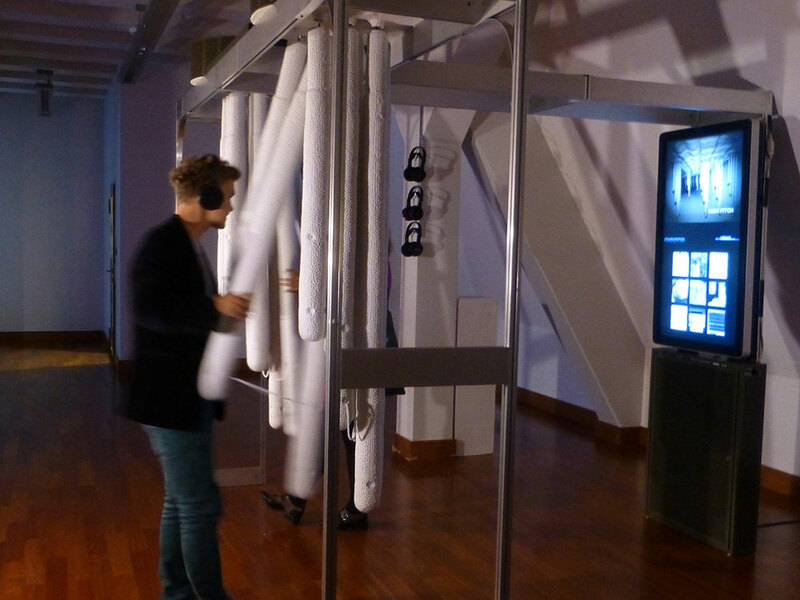 The viewers can use these to mix 54 sound tracks based on volume and harmonics. 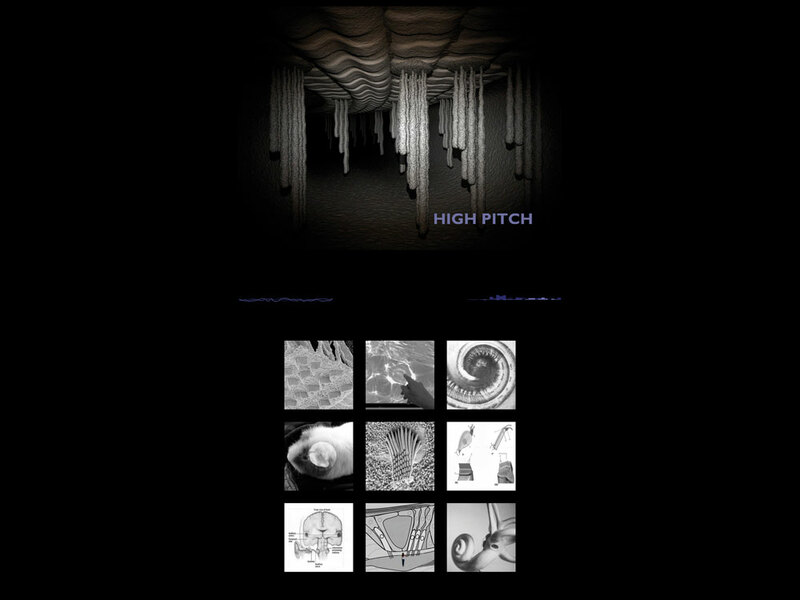 These tracks can be changed into low, medium and high pitch compositions by triggering animations and graphics on a touch screen. 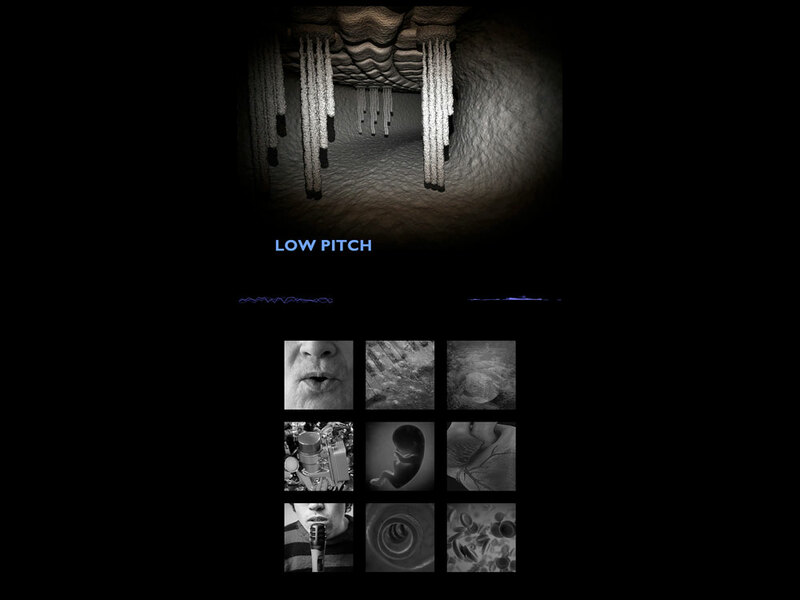 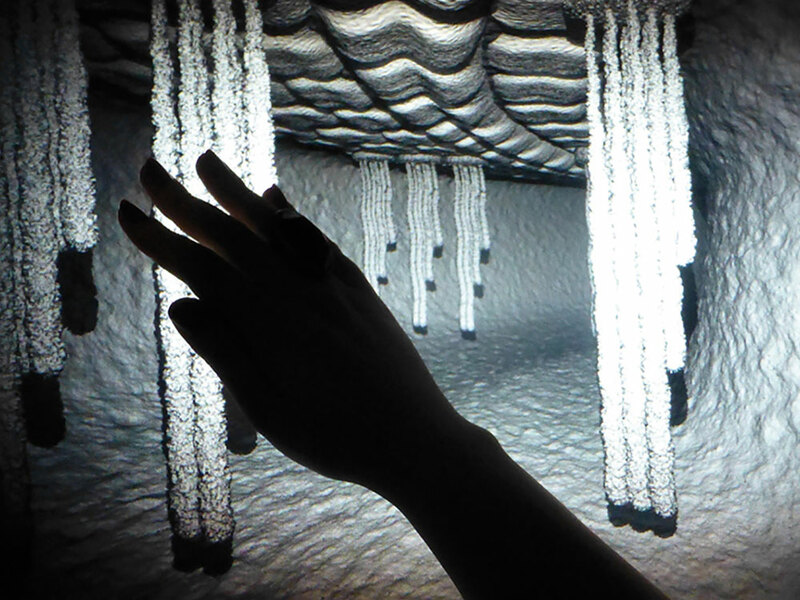 The low pitch composition features interior recordings from inside the womb with filtered sounds from the environment outside. 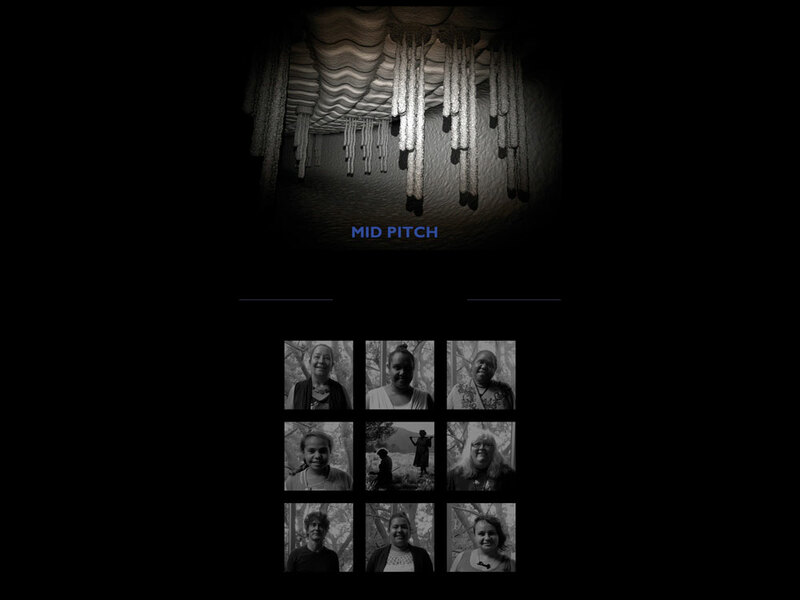 In the mid pitch range, aboriginal women’s stories about wild plants can be mixed with landscape sounds and in the high range, human scientific environments can be blended with experimental tests on human hearing.